Can you imagine having a medical emergency and instead of an ambulance showing up initially, you get a first responder using a jetpack from the sky? I know this sounds like science fiction or Ironman story. Today this is starting to become a reality through a company called Martin Jetpacks. There is now a jetpack that is safe and stable for people to use and they could be used in your community very soon. The unit is called the OPHAV from Martin company. They have stable, maneuverable capabilities to allow an operator get into hard to reach places. The use of these modules are unlimited, but we like to talk about how first responders could use the jetpacks. A jetpack will make people able to respond in more of a timely way than the current technology. The average response time for an ambulance to a victim is 10 to 15 minutes here in San Diego. If every fire station had a group of Martin Jetpacks, they can decrease the time of response and bring important aid to any emergency. 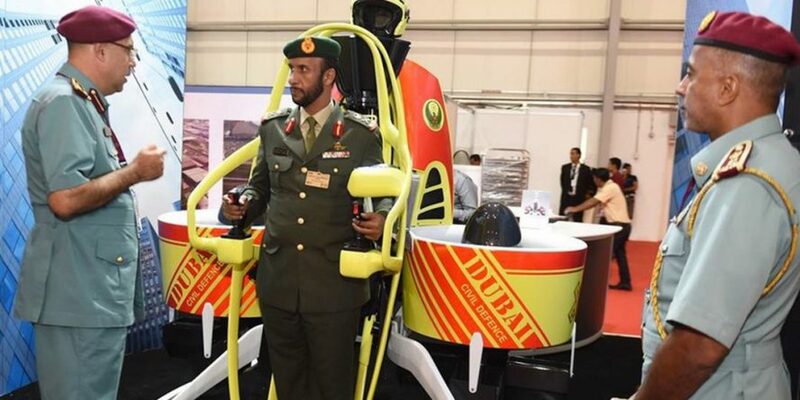 Dubai has ordered 20 of these units for firefighting and first aid response. They want to use the jetpacks for the high rises to provide help for people that maybe trapped on the top floors. The Martin Jetpacks were utilized in the recent Christchurch New Zealand Earthquake to rescue and render aid as first responders. This proves that even if Martin Jetpacks is a new technology, it is very effective. You may want one of these jetpacks, but the current price tag is 250,000 dollars. As time goes on the price will drop and more communities will have this life-saving unit in their community.